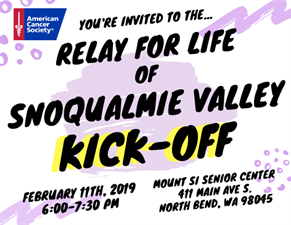 Come join the Relay For Life of Snoqualmie Valley community at the Mt. 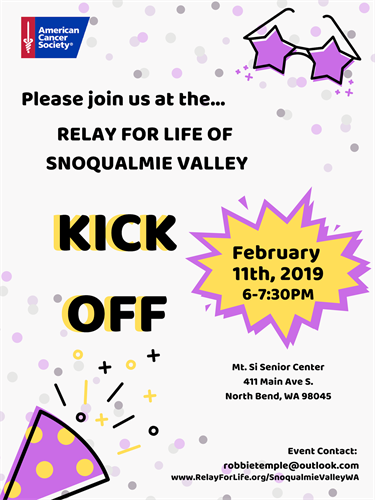 Si Senior Center for a few hours on Monday, February 11th from 6-7:30PM. You will be able to register or sign-up for a community team at this time! 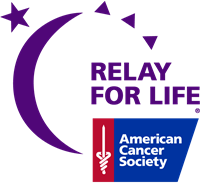 Learn about this great fundraising event and how you can get invovled.